Is it a chair? Is it a rug? No, it's a magic carpet! Is it a chair? Is it a rug? No, it’s a magic carpet! I get to write about some really imaginative products here on Babyology that never fail to surprise me but this one is right up there on the crazy ideas list and I just love it! 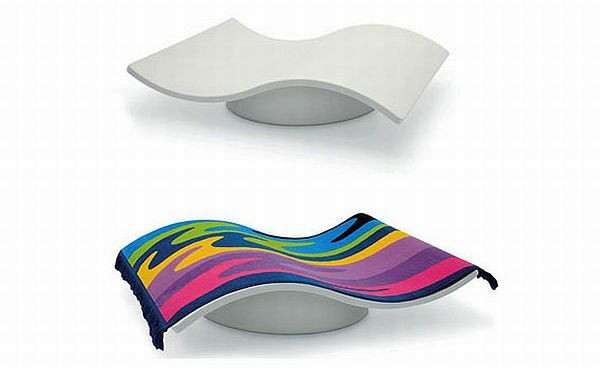 The Flying Carpet Rocking Chair by Italian designer Eero Aarnio is one of the those items that will get everyone talking – adults because it’s so wacky and kids because they will just adore it! With a 360 degree rocking base, you really can go up and down and all around to wherever your imagination takes you. It comes complete with magic carpet – sorry, I mean colourful rug – but will set you back $US899 plus shipping so it’s certainly a special purchase or once-in-a-lifetime buy. Up, up and away!